The special new Plunder Skulls contain the Dremora Crafting Motif, in addition to all the bewitching loot that a normal Plunder Skull has. 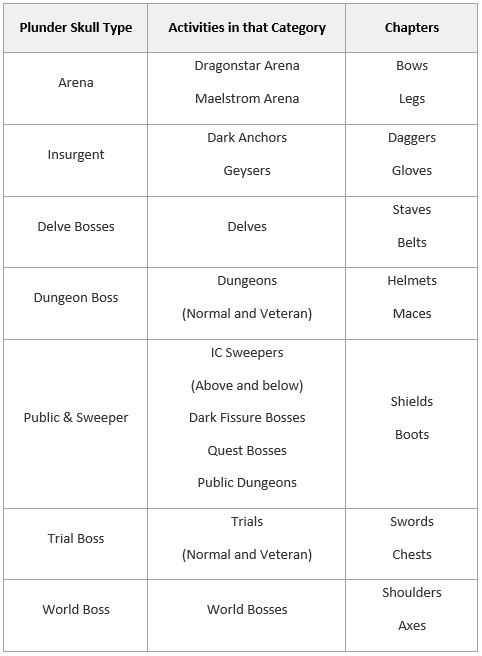 Each Dremora Plunder Skull is tied to a specific type of boss, such as Delve, Dungeon, or Trial Bosses. You can obtain a Dremora Plunder Skull by killing a boss of that type, once per day. Note that for Arenas, Dungeons, and Trials, only the final boss will provide a Dremora Plunder Skull. All other bosses leading up to the final boss will only provide a normal, non-Dremora Plunder Skull.